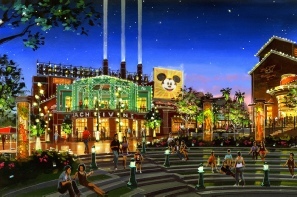 Remember the big announcement for the re-imagined Downtown Disney? 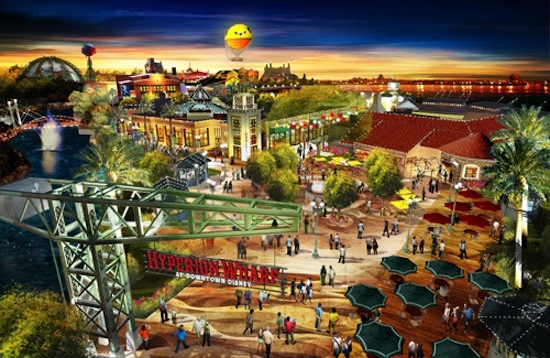 Shortly after the official closing of Pleasure Island as we knew it, Disney announced a new theme and plan called “Hyperion Wharf.” With concept art and an announcement of Splittsville, which did actually open, the buzz and announcements went silent. Over the last year, I’ve heard a few rumors about changes to the plans; some crazy pie in the sky and some just flat out bad. Recently, “friend” recently told me that we haven’t heard anything else because Disney did not get much positive feedback from the public of the plan. 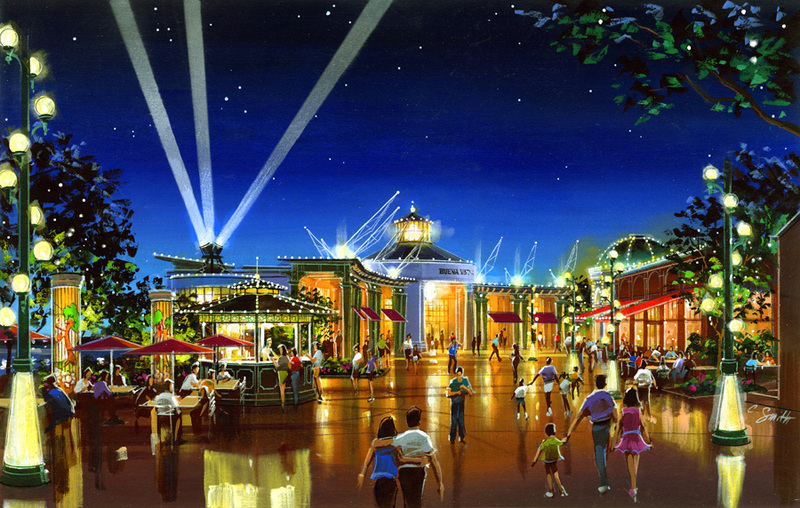 So Imagineers went back to the drawing boards to try and create a bigger, bolder and more appealing plan for Downtown Disney’s future. 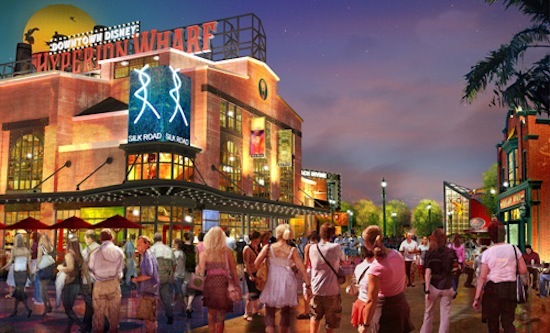 Recent filings with the South Florida Water Management District point to some major waterway work to begin in the Downtown Disney area. 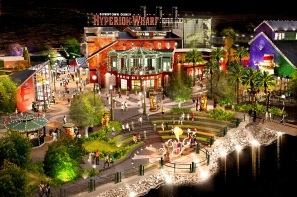 This may lend some merit to the Disney Springs project which we have been told about. Plus this mysterious sketch that we’ve received. 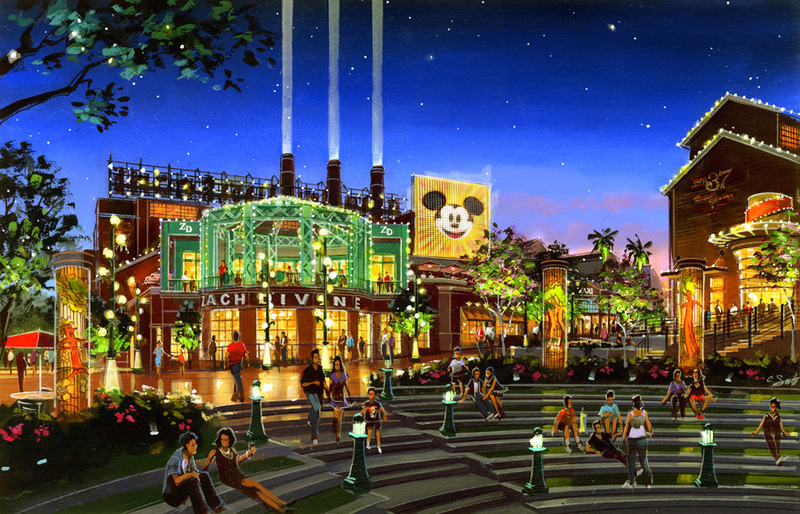 This will be the new “front door” to Downtown Disney with improved bus access and parking. Instead of the two currently cramped bus stops, there will be one central modern bus depot similar to what you expect to see at any of the three major theme parks. A new fife story parking structure, I’m guessing 2,500 to 5,000 parking spots, will be located near the existing Marketplace. Some major road work will be done to improve vehicle access including the larger capacity expected in the area. If you’ve been to Downtown Disney on a busy evening, you know how rough access and parking can be, so this will be a welcome addition. This existing area will basically remain the same as it is now with evolving retail and dining options as expected through the years. 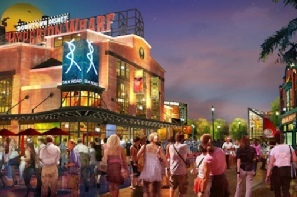 It will expand a bit into the existing bus stop to create shopping or dining options. 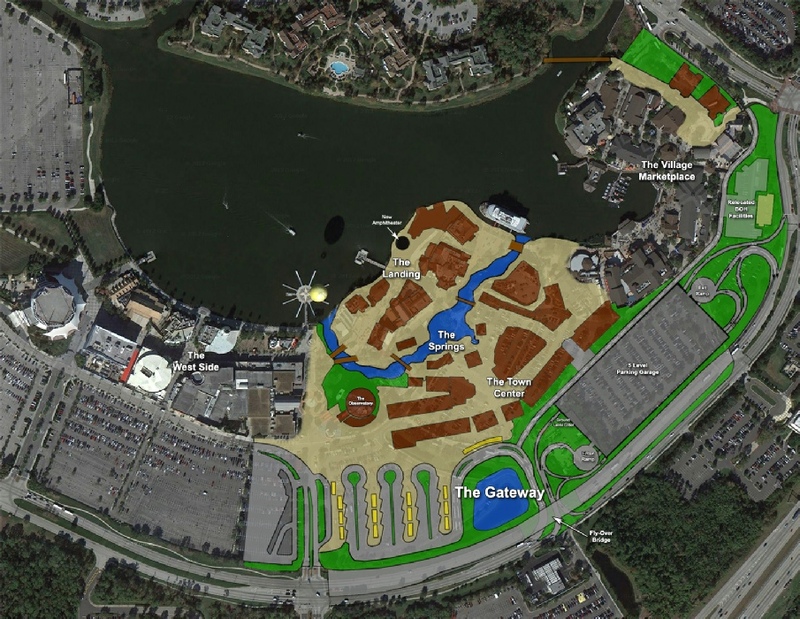 A notable item planned is a new walking bridge into the Saratoga Springs Resort. This should make DVC members (and others staying at the SSR) as you will no longer have to walk out onto the main road (sidewalk of course) and provide much closer access DTD from the resort. 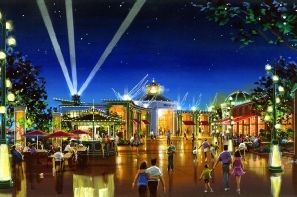 This area, which is the existing “newer” part of DTD will remain the same with some cosmetic additions. Some site work will be done around Planet Hollywood filling in the water with new landscape. West Side parking will remain mostly unchanged. The existing partially dismantled Pleasure Island will likely be similar to the plans for “Hyperion Wharf” with plenty of dining options and hopefully some night clubs. Town Center will be a huge new area which is currently a parking area by Pleasure Island. Hopefully not just “more of the same” shopping, but we may see some form of entertainment here as well.